Join us October 10 & 11 at Bedecked and Beadazzled for our second designer retreat. This is our favorite event of the year!! Karen Hennessey of Zecca fame will be here for the weekend to stitch a brand new project she designed just for us. We had a great time last year at the retreat so decided to do it again! Here’s the plan…. 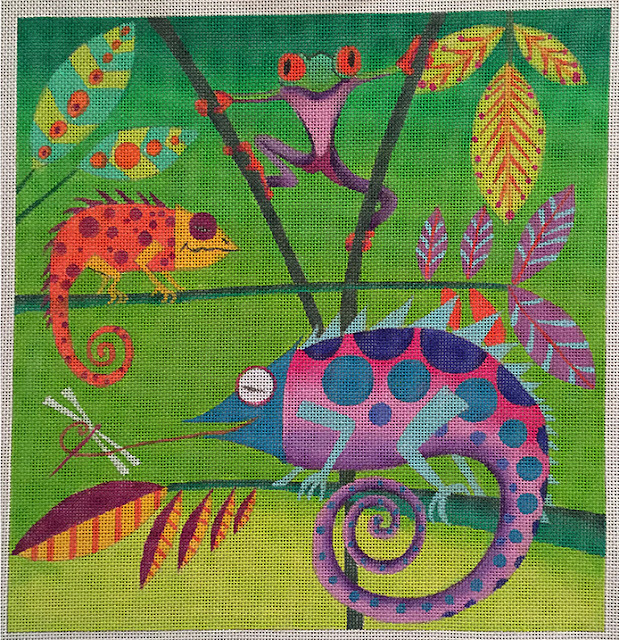 Karen designed a canvas that is whimsical and fun. I am planning the stitches, thread and embellishments. Oh the ideas I have!! You know Zecca and I are both a little unpredictable and so is this canvas. Could you have guessed this would be what we picked? This will be a stitch in, not a formal class. I’ll be stitching with you as will Karen. 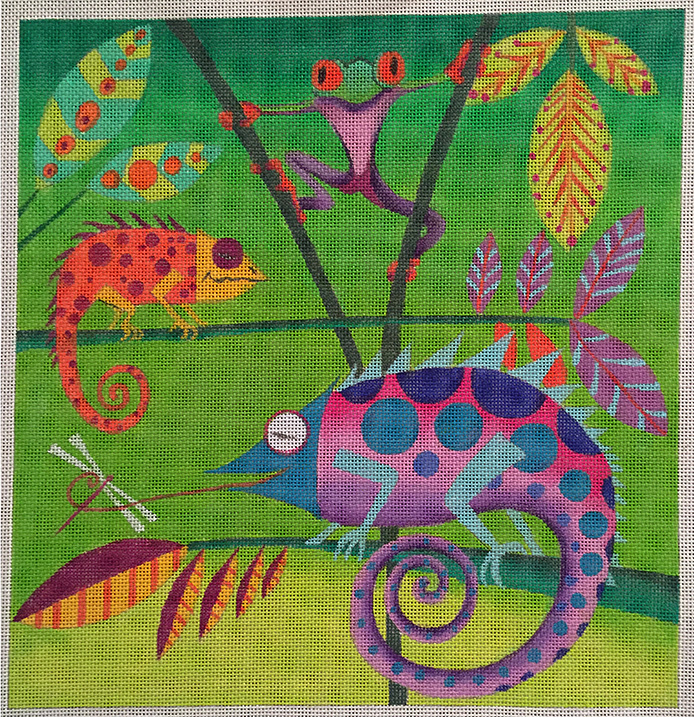 Canvas, threads, stretcher bars, embellishments and stitchguide all will be provided. We will spend two days stitching, hanging out, gabbing, giggling and having a grand time together. 11-5 Saturday and Sunday, October 10 & 11. Hope you can make it. Space is filling up fast! Call us to sign up, or register on line. I had a blast last year at the retreat. I made new friends and learned so much. I even designed this canvas for some of those new friends…. I have only hints of what will happen on this canvas but I am guessing it will be pretty special! I look forward to having fun this year with some old friends and new ones! Thanks Ruth, for this really fun weekend in the very near future!